Have you ever wanted to be let loose in a Supercheap Auto store? 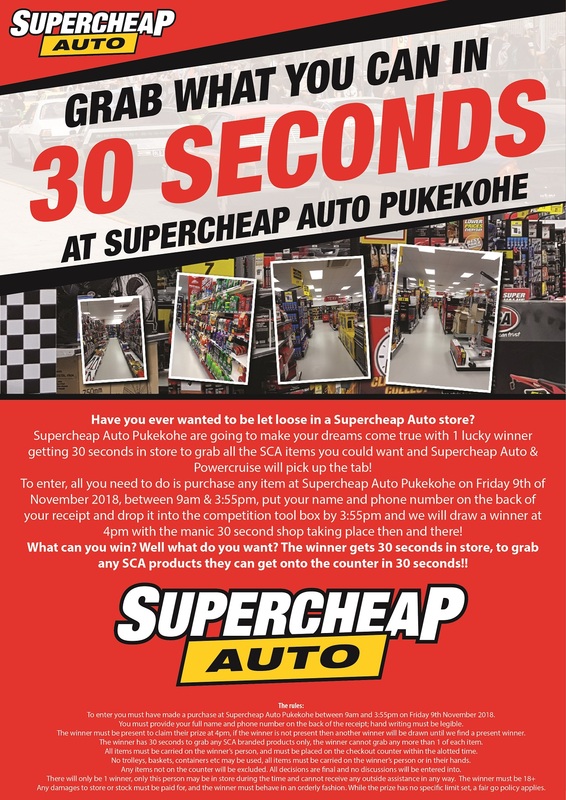 Supercheap Auto Pukekohe are going to make your dreams come true with 1 lucky winner getting 30 seconds in store to grab all the SCA items you could want and Supercheap Auto & Powercruise will pick up the tab! 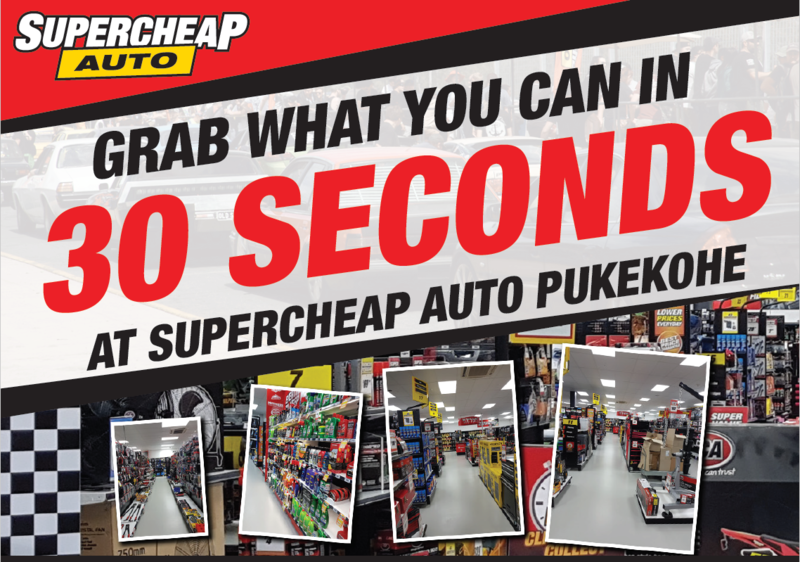 To enter, all you need to do is purchase any item at Supercheap Auto Pukekohe on Friday 9th of November 2018, between 9am & 3:55pm, put your name and phone number on the back of your receipt and drop it into the competition tool box by 3:55pm and we will draw a winner at 4pm with the manic 30 second shop taking place then and there! 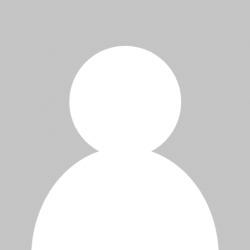 What can you win? Well what do you want? The winner gets 30 seconds in store, to grab any SCA products they can get onto the counter in 30 seconds!! See you all at Supercheap Auto Pukekohe Friday 9th!